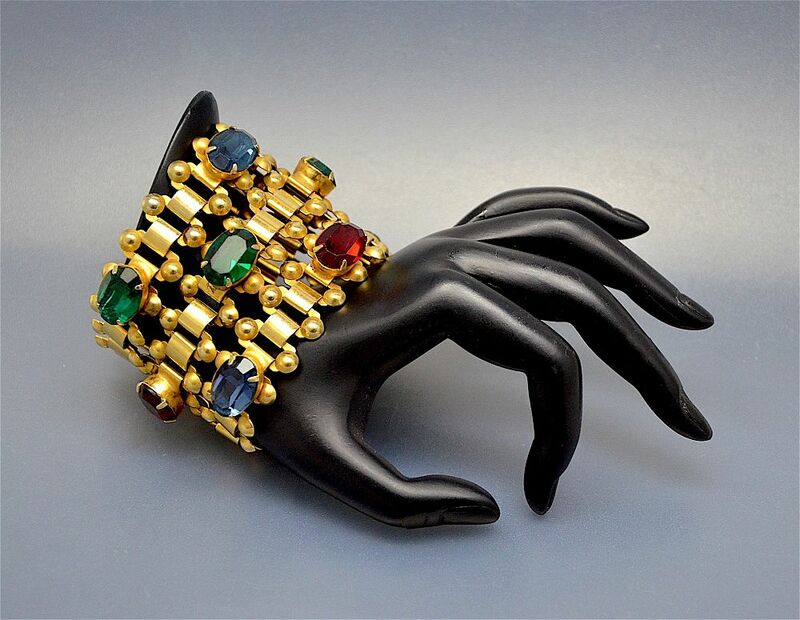 This dramatic vintage gilt metal and muti-coloured bracelet is by ART, the American costume jewellery designer and manufacturer. 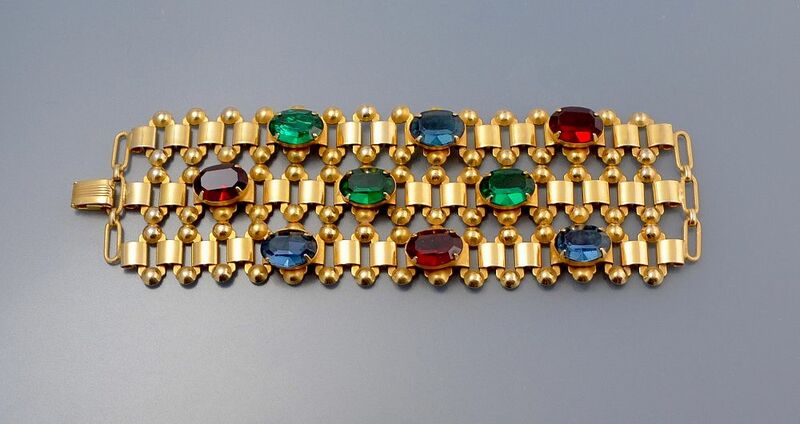 The bracelet comprises three rows of interlocking gilt metal links, each row being set with large oval blue, green and red oval paste. Signed.